Home Archives September is the Motherlode of Festivals. Good weather and good music is the perfect combination when it comes to outdoor concerts and music festivals. September is the motherlode when it comes to St. Louis and Missouri festivals and outdoor concerts. Luckily, St. Louis concertgoers have a lot to pick from this upcoming month. Three festivals are on the Sonic Nation radar–Way Back Pointfest, LouFest 2018, and the massive Roots N’ Blues N Barbeque Festival in Columbia, MO. First on the calendar is 105.7 FM’s Way Back Pointfest. This is a major score for any serious concertgoer and value-conscious consumer. A grand total of 10 bands will be playing at the Hollywood Casino Amphitheater on Monday, September 3rd. There’s something for just every fan of alternative rock–311, The Offspring, Buckcherry, P.O.D., The Toadies, Alien Ant Farm, Sponge, Lit, and Modern Day Zero. Anyone of these bands could headline a decent-sized venue, but why not see them all in one place and one day? Some tickets are still available for just $21.00. 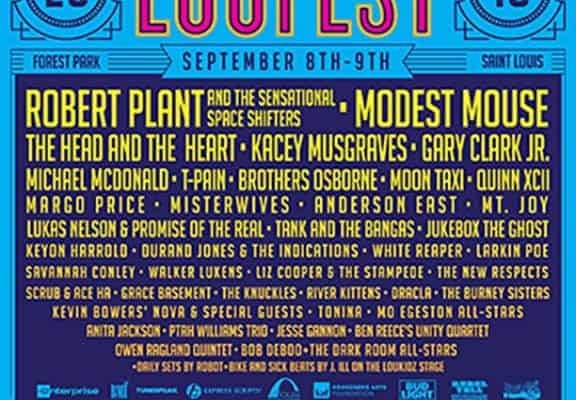 LouFest 2018, now in its eighth year of operation, not only draws thousands from the greater St. Louis metro and Show-Me State, but it also draws from all parts of the US, as well as some international concertgoers. Some jaded critics have grumbled about this year’s lineup, but we don’t see much of an issue. The mighty Robert Plant is worth the price of admission alone. There are two jam-packed days of music on September 8th and 9th that will see multiple stages with over 40 acts, DJ’s, food booths, crafts and so much more. In addition to the Golden God and his band The Sensational Space Shifters, there’s also the curious Modest Mouse, the blazing Gary Clarke, Junior, and hip-hop’s new king of edginess, T-Pain. Other acts include Moon Taxi, Margo Price, Brothers Osborne and much more. 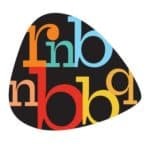 Finally, to close out the month of September, there’s the Roots N Blues N Barbeque Festival. A mere hour and a half from St. Louis, Columbia, Missouri’s Stephen’s Lake Park will be the site of this three-day (September 28th-30th) outdoor spectacle. There’s a decidedly more country alternative blues flavor to the star-studded lineup, including acts like the Avett Brothers, Sturgill Simpson, The Mavericks, Son Volt, Los Lobos and much more. The summer of 2018 will end on a loud, boisterous and resounding high note of great shows and a variety of artists playing in the great outdoors. Just remember not all these artists will be with us forever. Now is the time to see that band on your to-do list and enjoy mother nature and music. Previous PostLOUFEST 2018 CANCELLED! Next PostJeff Beck: Guitar God, Piercing the Soul Live In St. Louis.